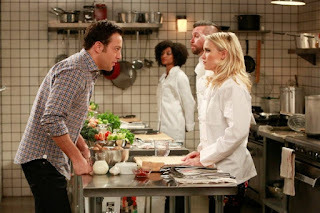 Tonight at 8:00 on GSN it's the 1st season finale of Steampunk'd and ABCF has the 2nd season finale of Young & Hungry. At 9:00 on ABCF it's the special Baring it All, Esquire has the 2nd season finale of Car Matchmaker, DirecTV has the 2nd season premiere of Kingdom, and ID has the 3rd season finale of Swamp Murders. On DisneyXD at 9:30 it's the 2nd season premiere of Star Wars Rebels, then at 10:00 on PBS it's the series premiere of The Brain With David Eagleman, AHC has the 1st season finale of Manhunt and on ID it's the series premiere of True Nightmares.